Round Britain in 48 hours – A TR4A, 1952 miles, and great cakes! 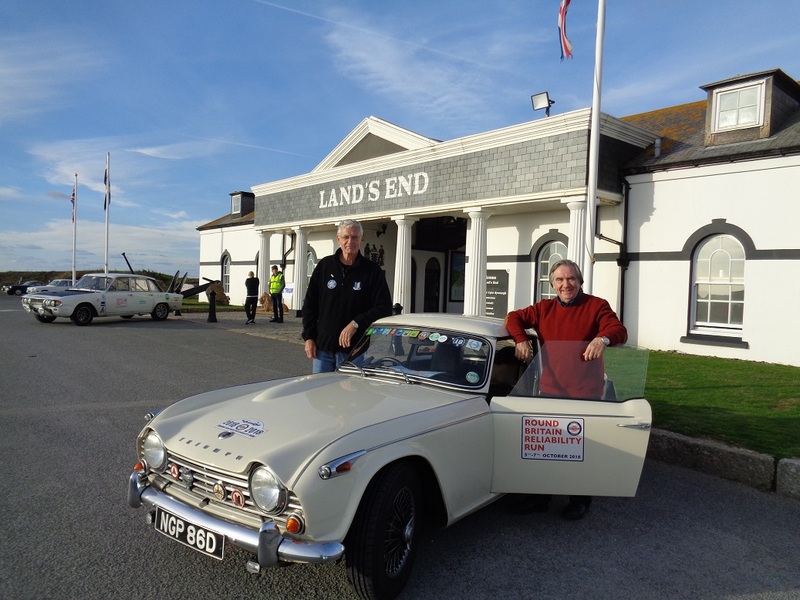 Home » Round Britain in 48 hours – A TR4A, 1952 miles, and great cakes! 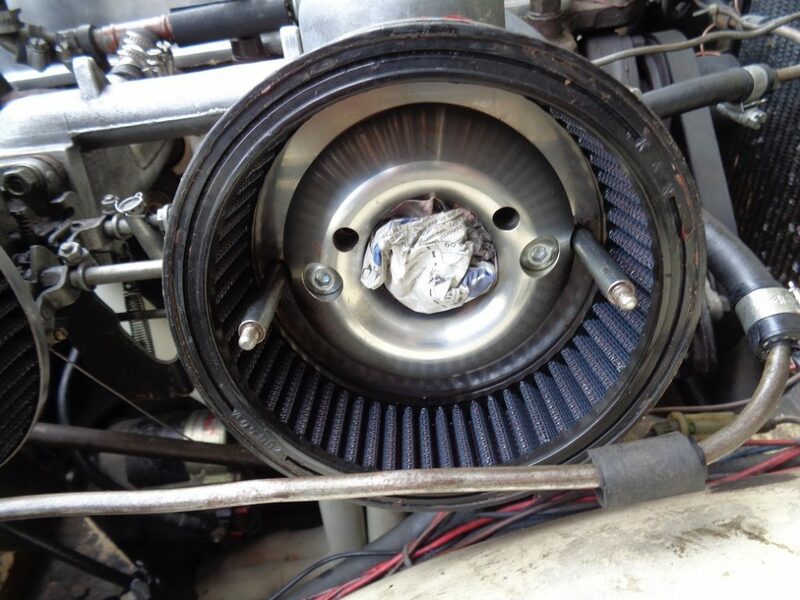 We always love hearing about what our customers are up to in their classics. 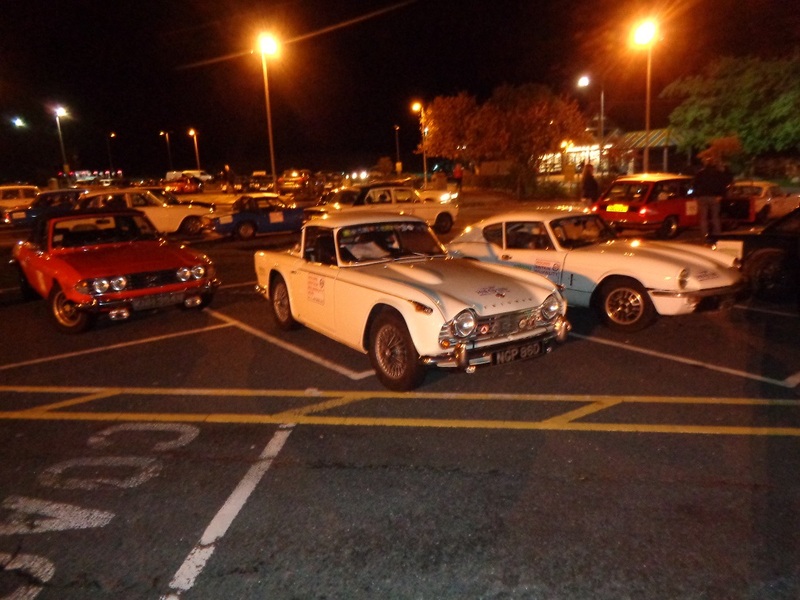 So, when Triumph TR4A owner and ClassicLine customer, Tim Hunt, messaged us to say that he had completed his 22nd biennial Club Triumph Round Britain Reliability Run recently, we wanted to know more about this exciting rally! Tim, together with his team mate and co-driver, Mike Hockaday, are no strangers to endurance Runs! Both Triumph fans, with Mike owning both a Spitfire 1500 and TR7, the Reliability Run duo first got involved with the RBRR in 1980. 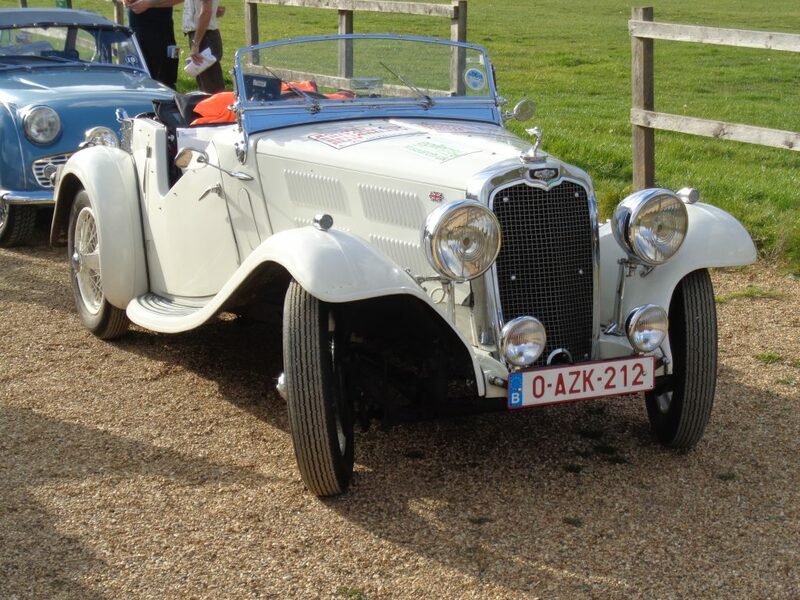 With 15 Reliability Runs under the bonnet together, the pair are both still keen – drawn by the challenge of driving 2,000 miles in 48 hours in a two-seater! With the thought of two overnight drives being the main attraction, and the promise of empty roads in the Scottish Highlands, it’s not surprising that 131 teams took part. The first Reliability Run in 1966 involved only six cars; one example each of all the Triumph models then in production. 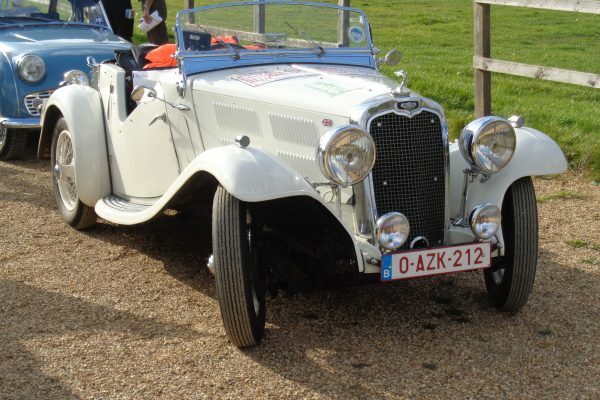 Numbers grew steadily and in the early years there would British Leyland works entries as the event was used as a proving run for new models before their release to the public. So, in aid of Epilepsy Research UK, the 2018 route started and finished at Knebworth House. The first leg, 634 miles, began on Friday 6pm, and took drivers through the night up the A1M then across to Edinburgh, over the new Forth Bridge to John o’ Groats. After a two-hour breakfast stop, drivers picked up the A836 along the north coast past the former Dounreay nuclear power station, then towards Loch Ness, Stirling and back down to Grenta Green. From here, teams entered Wales via the Chester By-Pass heading towards Builth Wells, and eventually down to Land’s End over the old Severn Bridge. After 1,548 miles, the teams were in need of another breakfast stop! From here, the route took them towards the north Cornish coast, across to Dartmoor and then up to Salisbury. Now on the homeward stretch, via Oxford and across to Milton Keynes, eventually finishing back at Knebworth House. 1952 miles in total and 16 marshalled control stops in 48 hours! And how many tanks of fuel you ask…well with an average speed 48-50mph, Tim and Mike filled up 8 times, costing around £400 with the car returning just over 32mpg. Tim told us the car ran so well, they could have left all tools and spares at home to save some weight! CL: That’s impressive, well done! Tim has in fact taken part in 22 RBRR’s, only failing to finish twice, in 1978 and 1982. In 1978 a recently fitted water pump failed in The Highlands. This lead to being recovered home by an over-enthusiastic AA driver getting his recovery vehicle, complete with Tim’s pride and joy on the back, almost sideways on a wet A82 by the side of Loch Lomond! CL: Stay tuned, as tomorrow we’ll give our latest advice on what to do when broken-down. Prior to that incident, Tim’s first RBRR was in 1974. The Run started from the then British Leyland Head Office in Marylebone Road – hard to imagine in current Friday rush hour traffic and Congestion Charge Zones! 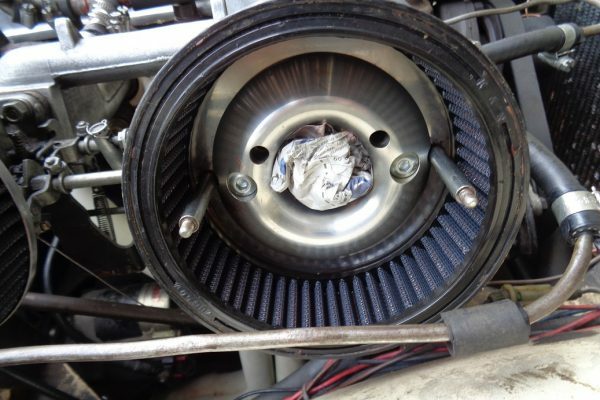 Tim recalls, “I had forgotten that I had blanked off the radiator grille to encourage the car to run hotter and more efficiently. On the last stretch of our journey to the start line, the engine overheated and I had the embarrassing experience of the radiator boiling over in the underground car park of BL’s HQ. The lost coolant was soon replaced and the whole run passed off without further incident.” CL: It’s all part of the adventure! Tim’s TR4A has close family ties. 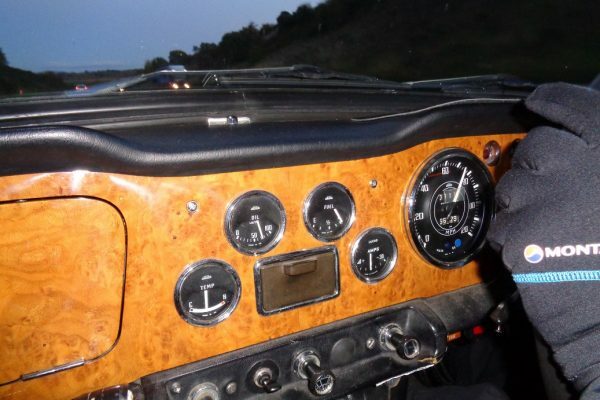 Bought by his late father in September 1970 as a retirement present to himself, Tim enjoyed many miles of motoring in the car even before he inherited it. 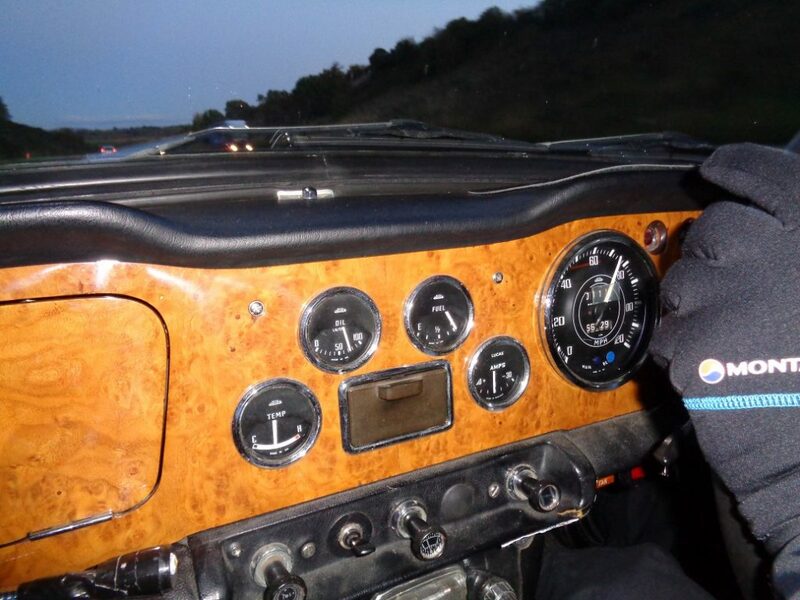 As well as RBRR’s, Tim has taken part in 500-mile overnight scatter rallies, the Club’s Coast to Coast Run for Drive It Day, as well as completing all eight biennial Ten Countries Runs round Europe. Over the years, Tim has continuously upgraded parts to improve safety, economy and driveability without detracting from its classic character. Although an extensive list, just a few of the modifications include: fog lights, a high-level brake light, high back seats from an early US version TR6, hazard warning flashers, an oil cooler, polyurethane suspension bushes all round, CV drive shafts and a full stainless-steel exhaust system with ceramic coated manifold. So, if this has inspired you to consider an endurance rally, how can you prepare yourself? Tim emphasised the need to be prepared. Share the driving. If you are thinking of taking part in an endurance rally, Tim’s top tip is that you change driver frequently, certainly before you feel tired, stints of about 2 hours are ideal. On the night sections get some sleep whenever possible, having first ensured the driver has memorised the next part of the route if not using sat nav. Ear plugs and eye shades to eliminate any glare from oncoming headlights both assist sleep and Tim recommends high backed seats for head support. As for snacks in the car, in addition to caffeine and glucose sweets, Tim highly recommends hazelnut muesli bars! What’s next? With 22 Runs under his belt, Tim is already looking forward to his next! Tim will be taking part in a 12-car navigational club rally in November and is already intending on entering the 2020 RBRR. Most of the Club’s fundraising has been through JustGiving, in aid of Epilepsy Research UK. Tim tells us that as of the 18th October, funds raised stand at a staggering £73,600. When all the drivers fundraising is considered, the overall total could approach £100,000, a truly transformational amount of money. If you would like to support Epilepsy Research UK, please visit Tim and Mike’s JustGiving page. Pub2Pub – the journey from the northern most pub in the world to the southernmost!